We hope you have enjoyed either making or getting inspired from the Mod Podge Home for the Holidays Projects. We know many of you are about to put up your Christmas trees and it is the perfect time to create some new holiday memories. This week all our projects focus on Christmas tree crafting. The projects include a tree topper and eight ornament projects. You can make one or make them all! You can find all the supplies to make these ornaments at Michaels! Don’t forget to go to the Plaid Facebook page to enter to win the Mod Podge supplies to make these projects. 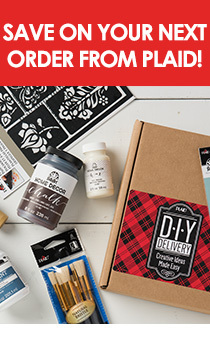 Then after you have created your projects post it on Instagram with hashtag modpodgeholidays, and #madewithmichaels to win a Michaels Gift Card and Plaid products!